Harley Davidson Road King is a cruiser that has some technical features coupled with its beautiful design to give splendid riding experience for thousands of miles. Read this review to find out its features, specifications and price in India. Road King a touring model bike from the big brand 'Harley Davidson' is a ride that is worth its cost. The long range Hiawatha head lamp crowned by a tall wind shield in the front, 22 liter fuel tank and two large volume saddle bags at rear would content a tourist rider. The anti lock braking system equips the machine with a good control of its braking. This keeps the bike safe from varied friction between the wheels and road which may result in skidding. 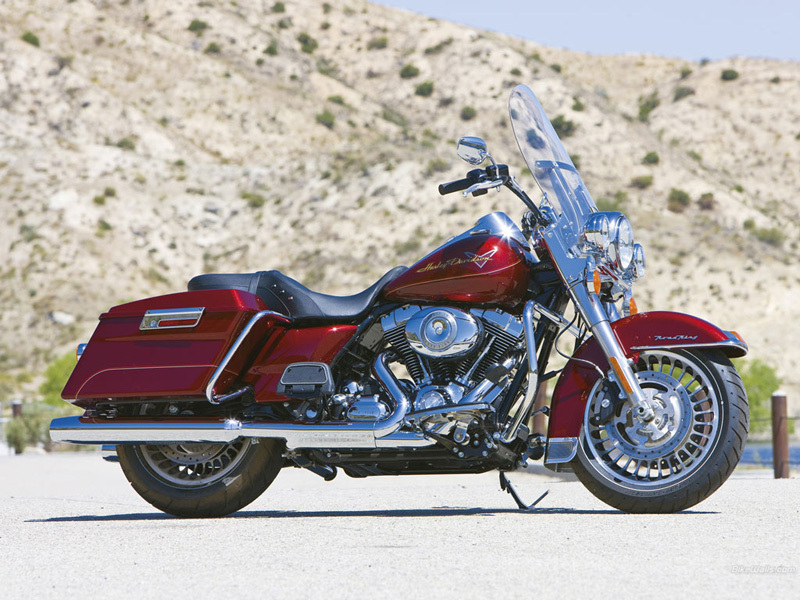 The 28 spoke cast aluminum wheels covered by finely finished fenders at front and rear, the chrome plated fork and front lamp assembly, 2-1-2 chrome exhaust that runs on either sides of the Road King from the V twin layout, a lean back riding posture gifted from a wide handle bar and a soft saddle can only increase the value of an explorer's ride by coupling luxury with elegance. Harley Davidson Road King has a 1690 cc engine have twin cam shafts loaded with two cam lobes that operate the valve through push rods and define the valve timing. The engine is cooled by air and oil and it uses a separate radiator unit to coil the oil that circulates through the cylinder casing. Fuel is injected through an Electronic Port Fuel Injection System. The engine is capable of delivering a maximum torque of 134 Nm at 3500 rpm. 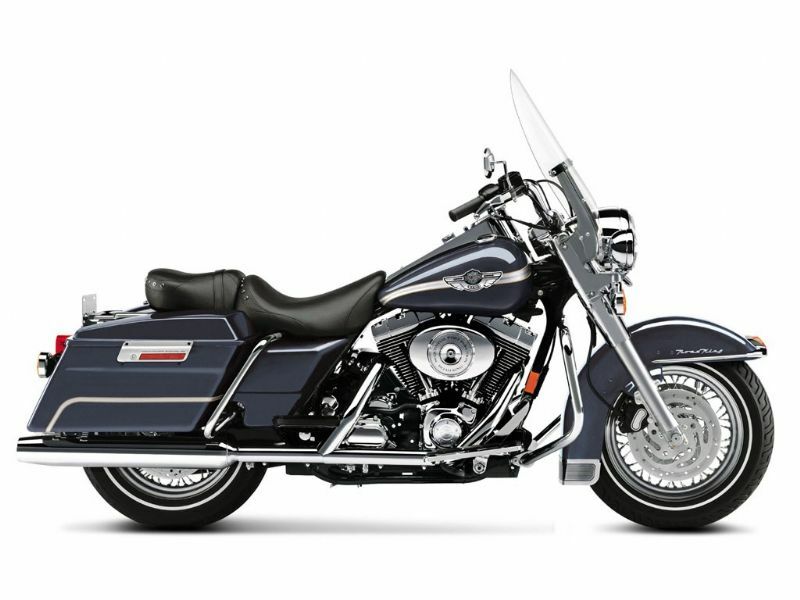 This heavy torque producing capability of the engine at low rpm with a touring design of Road King makes this bike suitable for long rides. The seating posture with the foot board pushed towards the front and a seat stitched in a way to support the back and reduce the stress from the thighs makes a touring ride very much comfortable. The wide handle bars made of stainless steel are designed in a manner so that the rider can rest his arms and ride over long distances. The exhaust pipes run on either sides of the bike and they are designed in a manner such that they are away from the foot of rider and pillion. The chassis of the bike have four critical points mounted with rubber pad. This avoids the transfer of vibration from the engine and transmission assembly to the chassis finally reaching the rider. The 368 kg machine has a frame that transfers very less vibrations to the rider. 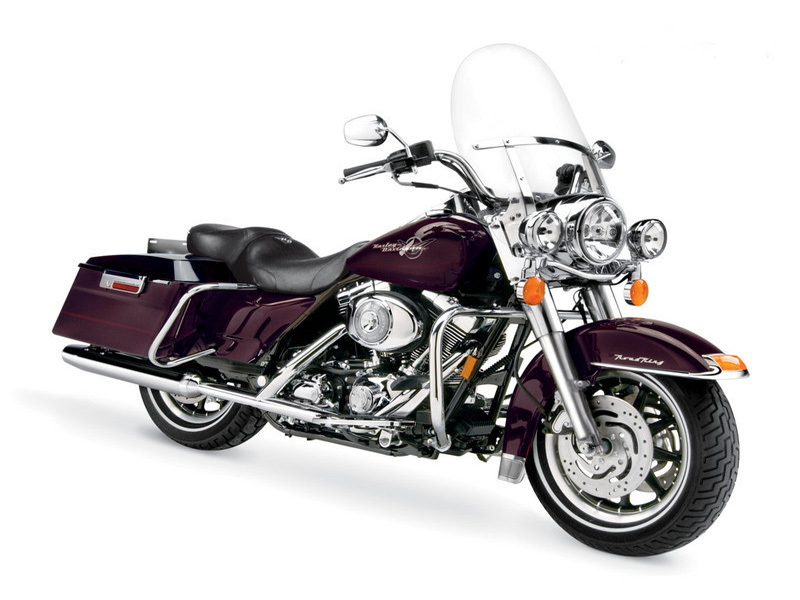 The steering is provided with a better trail to make the ride on Road King much controllable. The wide tires are multi threaded and manufactured from a combination of compounds varying from center to the sides of the tire. With lesser aspect ratio the tires are thin and with a rating H they have the capability to travel at 210 km/hr without any damage. The front tire has two discs in the front and one at the rear and the brakes are active by four pistons. The adjustable air suspension at rear give the rider an option to customize the suspension behavior based on the road condition and load conditions. The pressure of air in the suspension could be increased or decreased to change the sensitivity of the riding comfort. The 1690 cc touring bike can run a maximum of 15 to 17.5 kms per liter of petrol. Harley Davidson Road King Cots about Rs 22,75,000 in New Delhi and the conditions may be applicable during the time of purchase based on the city of purchase too.